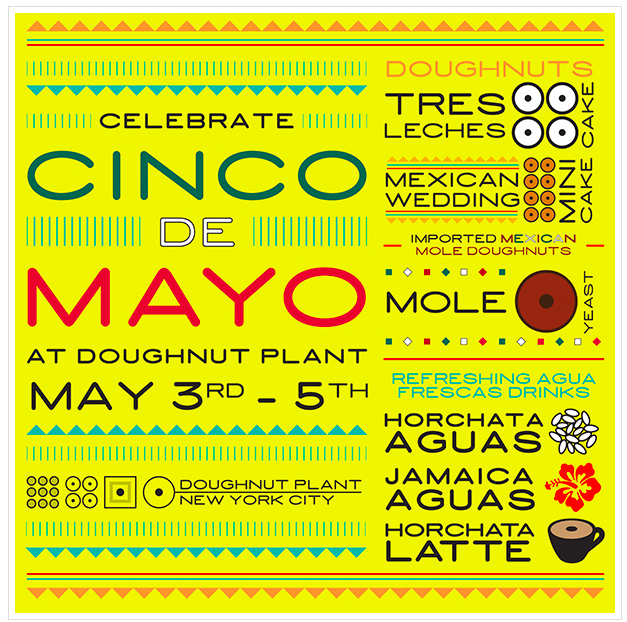 I was looking for if there're anything interesting for Star Wars Day, which is May 4th (May the Fourth be with you), then I encountered that Doughnut Plant has special menus for Cinco de Mayo from May 3-5 only. Cinco de Mayo means fifth of May in Spanish, and it's the day to celebrate the Mexican army miraculously defeated never-beaten-before French forces in spite of the 1/2 numbers of Mexican army at the Battle of Puebla on May 5, 1862 under the leadership of General Ignacio Zaragoza. 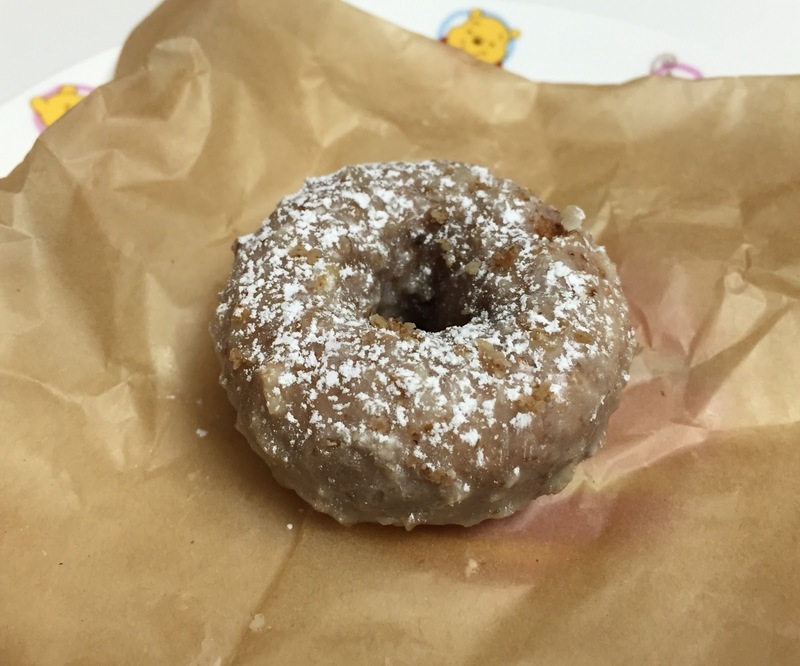 We went to Doughnut Plant in Chelsea. 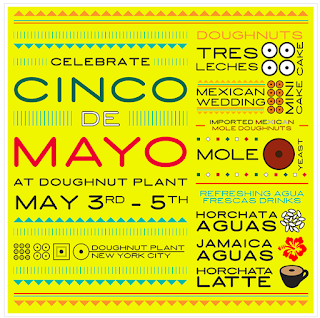 Sign for Cinco de Mayo donuts. The wall of the shop was filled with donuts-shaped cushions and says, "World's First Crème Brûlée Doughnut Was Invented Here." 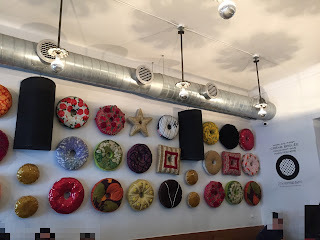 Display of donuts they have. It's very helpful to see the sizes, decoration and names. 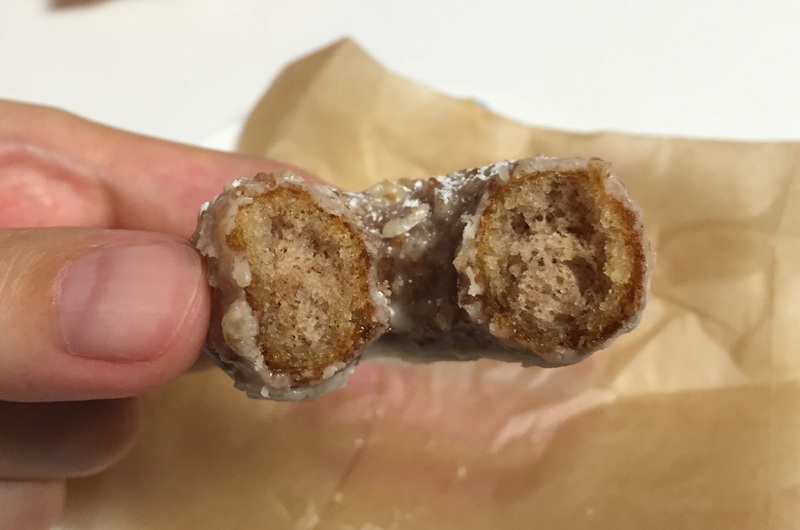 The top rack was small donuts and donuts with fillings, middle was cake donuts and the bottom was yeast donuts. It's about 5cm/1.96 inch in diameter and topped with white powdered sugar. 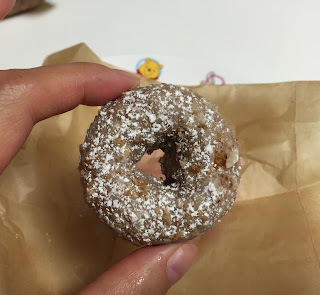 The donut was light and soft, and it had fragrant sweetness similar to Japanese brown sugar syrup in the cake, and there're finely chopped almonds on the outside and added little crunchiness. Tres Leches literally means 3 milk, and it's because the cake uses 3 types of milk; evaporated milk, condensed milk and heavy cream. When I flipped, I saw 6 little holes and the filling was oozing out. 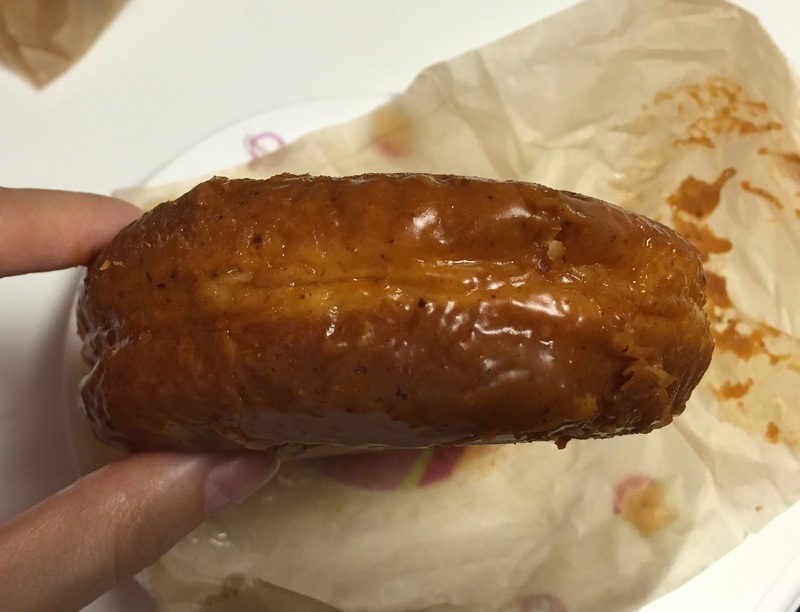 The glaze was thin and crispy, and the cake was sweet milk flavor. 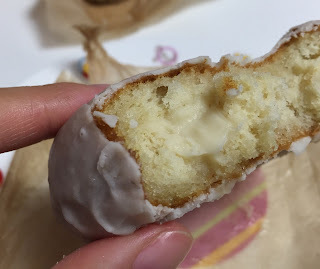 I didn't see any filling in the cake where I bit, but I definitely tasted milky and velvety condensed milk flavored cream. The filling was white and creamy, and it's smooth and rich. Mole is a type of sauce used for Mexica cuisine consisting of spices and chocolate, and the color varies from light to dark depends on the recipe. On the sign, it says, "Imported Mexican Mole." 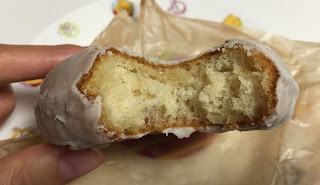 Yeast donuts were at the bottom of the display, and I think this donut was as large as 15cm/5.9 inch in diameter. It had spicy and toasty mole sauce scent even before I ate it. 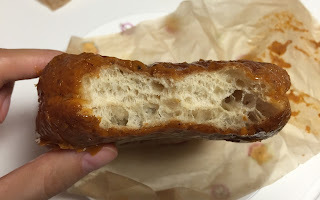 The glaze had some sweetness but soon I tasted red pepper, cinnamon and clove because it had some warm flavor, and it had much stronger mole aroma than I thought. 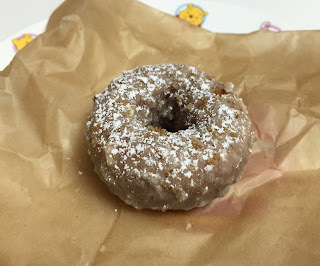 The mole glaze was smoky and had heat, but the yeast donut was lightly sweetened, fluffy, and a bit chewy. As I'm not a big fan of mole to begin with, it's too authentic to enjoy as a pastry.